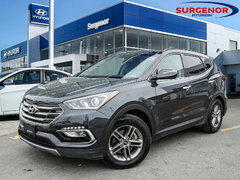 Open since 2013 and located at 895 St. Laurent Boulevard in Ottawa, Surgenor Hyundai quickly became the number one destination for a new or pre-owned Hyundai vehicle. Our dealership is also the primary stop for the maintenance and after-sales service of your Hyundai vehicle. At Surgenor Hyundai, your satisfaction is our priority. At Surgenor Hyundai, we have a large selection of new Hyundai vehicles that will meet all your needs while respecting your budget. 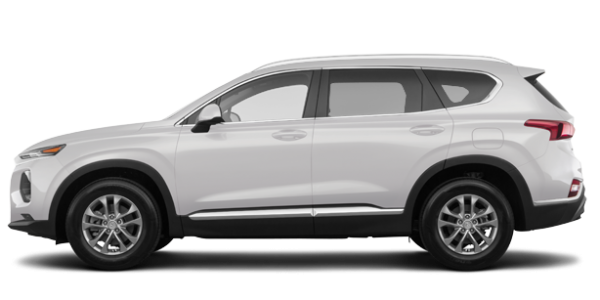 At Surgenor Hyundai, you'll find a wide selection of Hyundai Sante Fe, Hyundai Tucson, Hyundai Kona, Hyundai Sonata and Hyundai Elantra models in stock. We also offer affordable and advantageous financing plans as well as several leasing offers. Our Hyundai sales representatives are really passionate about their work and will make every effort to ensure your satisfaction. Surgenor Hyundai also offers a complete inventory of reliable and fuel-efficient Hyundai pre-owned vehicles at unbeatable prices. Discover the benefits of buying a Hyundai certified pre-owned vehicle today at Surgenor Hyundai. At Surgenor Hyundai, we know Hyundai vehicles and our team of technicians are continually in training to ensure the quality of their work. No matter your vehicle, we can service it at Surgenor Hyundai. We also offer a complete Hyundai genuine parts and accessories department to our customers in addition to many other services such as detailing and a body repair service. Finance offers available O.A.C. from Hyundai Financial Services based on new in-stock 2018 Elantra GL Auto/2018 Accent GL Auto 5-Door/2018 Tucson 2.0L FWD/2018 Santa Fe Sport 2.0T SE AWD/2018 Santa Fe XL Ultimate 7-Passenger/2018 Sonata GL Auto models with an annual finance rate of 0%/0%/0%/0%/0%/0%. Weekly payments are $60/$56/$65/$103/$131/$101 for 84/84/84/84/84/60 months. $0/$0/$2,845/$0/$0/$0 down payment required. Trade-in value may be applied to down payment amount. Selling price is $21,929/$20,529/$26,679/$37,329/$47,829/$26,229. Cost of borrowing is $0/$0/$0/$0/$0/$0. Finance offers include Delivery and Destination charge of $1,705/$1,605/$1,805/$1,905/$1,905/$1,805, levies and all applicable charges (excluding HST). Finance offers exclude registration, insurance, PPSA, license fees and dealer admin. fees of up to $499. Fees may vary by dealer. ◊Leasing offers available O.A.C. 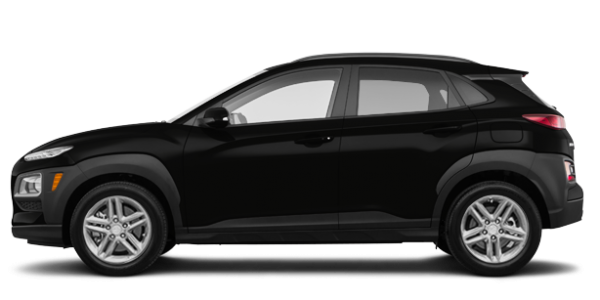 from Hyundai Financial Services based on a new 2019 Veloster Auto/2019 Elantra Essential Manual/2019 Santa Fe 2.4L Essential FWD/2018 Kona 2.0L Essential FWD/2018 Elantra GT GL Manual with an annual lease rate of 3.49%/2.49%/1.99%/1.49%/0%. Weekly lease payment of $60/$45/$80/$50/$50 for a 60/60/48/60/60-month walk-away lease. 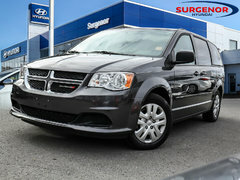 Down payment of $2,695/$1,495/$2,095/$2,645/$1,965 and first monthly payment required. Trade-in value may be applied to down payment amount. Total lease obligation is $18,351/$13,231/$18,804/$15,734/$15,058. Lease offer includes Delivery and Destination charges of $1,705/$1,705/$1,905/$1,805/$1,705, levies and all applicable charges (excluding HST). Lease offer excludes registration, insurance, PPSA, license fees and dealer admin. fees of up to $499. Fees may vary by dealer. $0 security deposit on all models. 16,000 km allowance per year applies. Additional charge of $0.12/km. ∞Winter Tire credit of $325/$325 available on 2018 Elantra/2018 Accent models. Winter Tire credit applied before taxes. Credit cannot be combined or used in conjunction with any other available credits. Credit is non-transferable and cannot be assigned. Tire installation and balancing are not included in the offer. See Surgenor Hyundai for complete details. ΩPrice adjustments are calculated against the vehicle’s starting price. Price adjustments of up to $2,000/$2,000/$500 available on finance purchase only of new in stock 2018 Santa Fe Sport/2018 Santa Fe XL/2018 Sonata models. Amount available on 2018 Santa Fe Sport 2.0T SE AWD/2018 Santa Fe Ultimate 7-Passenger/2018 Sonata GL Auto. Price adjustments applied before taxes. 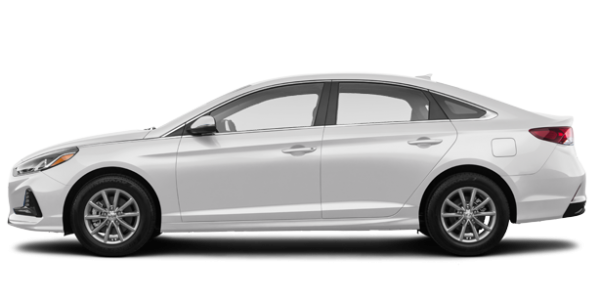 ♦Price of model shown: 2018 Elantra Limited/2018 Accent GLS Auto 5-Door/2018 Tucson 1.6T Ultimate/2018 Santa Fe Sport 2.0T Limited/2018 Elantra GT Sport Ultimate DCT Phoenix Orange/2018 Santa Fe XL Ultimate with 6 Seats Regal Red Pearl/2018 Kona 1.6T Trend Tangerine Comet with Black Roof/2018 Sonata 2.0T Sport Fiery Red/2019 Elantra Ultimate Intense Blue/2019 Santa Fe 2.0T Ultimate Turbo AWD/2019 Veloster Turbo Tech DCT Tangerine Comet with Phantom Black Roof is $28,937/$22,837/$40,237/$43,437/$32,487/$50,387/$29,237/$39,087/$29,387/$47,037/$32,637. Price includes Delivery and Destination charges of $1,705/$1,605/$1,805/$1,905/$1,705/$1,905/$1,805/$1,805/$1,705/$1,905/$1,705, levies and all applicable charges (excluding HST). Prices exclude registration, insurance, PPSA, license fees and dealer admin. fees of up to $499. Offers available for a limited time and subject to change or cancellation without notice. Delivery and Destination charge includes freight, P.D.I. and a full tank of gas. Inventory is limited, dealer order may be required. Offer cannot be combined or used in conjunction with any other available offers. Offer is non-transferable and cannot be assigned. No vehicle trade-in required. Visit Surgenor Hyundai for more information.